How to have a small wedding in NYC! A lot of couples wonder how to have a small wedding in NYC. We are talking about the type of wedding that involves the parents, siblings, and close friends. Many couples in this day in age are looking to have a small NYC wedding. People want to save money and to create a more intimate celebration. Instead of spending thousands and thousands of dollars on an elaborate wedding, couples choose to have their wedding on the smallish side. They keeping the guest count low, and letting people know that the celebration will be involve just close family and friends. This is a perfectly acceptable way to have a wedding these days. It creates an affordable wedding option for couples looking to have a traditional wedding on a smaller budget. We recommend keeping in mind a few things when planning your small wedding in NYC. Decide if you want to keep it to immediate family. Keeping the guest list limited to just parents, grandparents, and siblings automatically cuts down on the costs especially if you have a large family. Offer the chance to celebrate all together in the future at a low-cost gathering such as family picnic. Let people know that you are thinking about them but are keeping the celebration very cozy. Most people are very understanding especially when they really think about the costs of a large wedding and the financial burden that is on families. It’s really okay to go ahead and minimize the guest list. Choose a low-cost or free setting for your ceremony. NY1 Minute has plenty of ideas about this. We love Central Park for a beautiful wedding celebration. The fee is quite minimal and you can bring a sizable group of people. Check with us for the details! Choose a venue for your celebration that is appropriate for a ceremony. We have some super great ideas for small wedding venues in both Brooklyn and Manhattan. Just to start, check out www.jalopy.biz for a unique Brooklyn vibe or Littlefield in Brooklyn for a trendy, more lofty feel. In Manhattan, there are numerous rooftop settings that will accommodate a small wedding. Use a small wedding planner like NY1 Minute that can negotiate a good deal on your behalf. As a local business, we are connected to local venues. Let us know if you want help on this end. In summary, you CAN have your affordable small wedding in NYC with a beautiful ceremony, gorgeous setting, high quality wedding photography, music, etc. We look forward to helping you plan the big day. 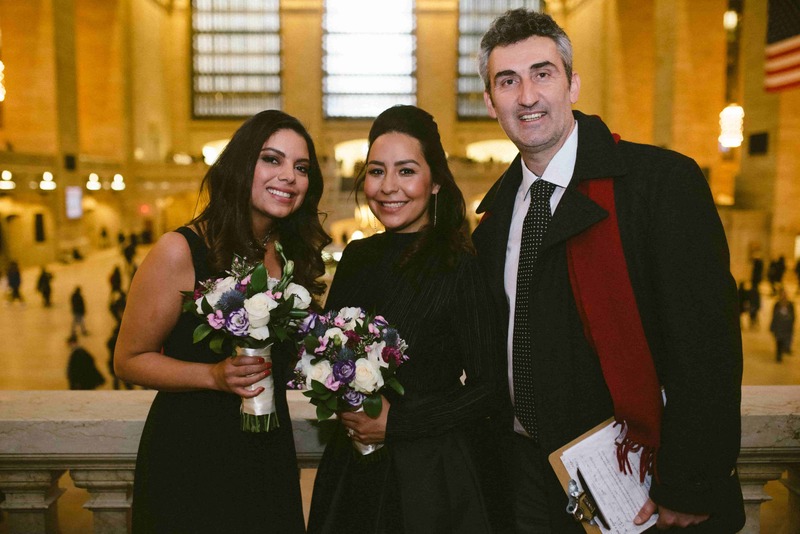 Thank you for choosing NY1 Minute Weddings!